Affiliated....the start of beautiful thing! Some of you may have noticed a couple of ads that are now located around the site! If not, you should take a sneak peak! 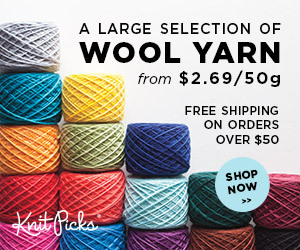 They are all currently for Knit Picks! Have you seen their website? If not, oh my goodness, be prepared! It's amazingness, fabulousness and wonderfulness all rolled into one! Take a look around, drool over the yarny goodness, see some great patterns and amazing supplies! You won't regret it! I haven't yet! Thanks for stopping by and saying hi today! I hope to be showing more yarny goodness off soon!